Brad Hendrickson has been coaching at DHS since 2007. He graduated from the University of North Carolina at Chapel Hill with a BS, MAT. Brad ran high school cross country at DHS, and wants to continue the proud tradition of Wildcat Cross Country. Brad teaches Science at DHS. Bryan Boucher was born in Longmeadow, MA. He graduated from Connecticut College in New London, CT with a BA in History. Bryan ran 4 years in high school, and in college he ran 4 years of Cross Country, and Indoor and Outdoor Track. He has participated in Endurance Racing since finishing college. Bryan teaches Social Studies at DHS (AP U.S. Government, U.S. History, Civics). He is also a Close Up Advisor. 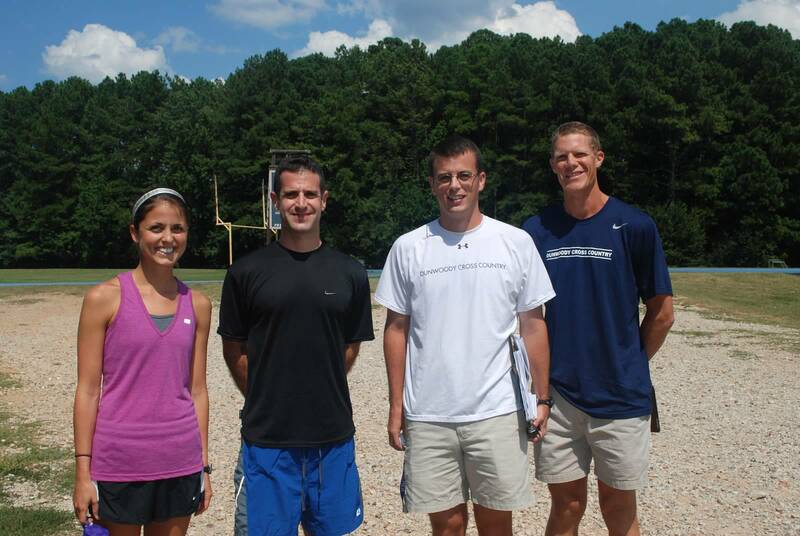 Gypsy Savage; is from Chamblee, GA and joined the DHS XC coaching staff in 2012. She graduated from Georgia State University with a BS in Early Childhood Education and Special Education. While she never ran competitively for her school teams, Gypsy is an avid runner. In her spare time, she enjoys training for and participating in marathons. Gypsy teaches third grade at Vanderlyn Elementary. Eliot Rudnicki is a community coach at DHS. He lives in Dunwoody with his wife and three children. He graduated from The University of Pennsylvania, with a BA in Communications. Eliot has worked in the Financial Services Industry for the past 19 years. He has been working with the DHS Cross Country team since 2010. To e-mail Coach Hendrickson, click here.